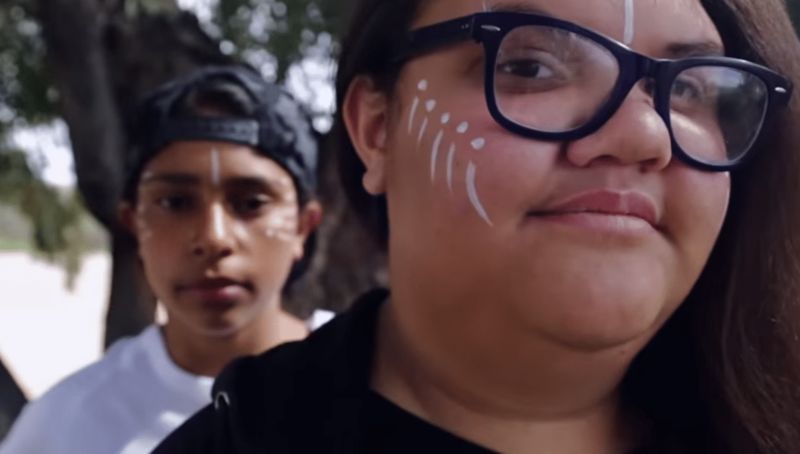 The local Indigenous community in Broken Hill NSW including young people, elders and community members collaborated with Desert Pea Media and Warra Warra Legal service to create a unique dialogue-based songwriting project to address domestic violence in their community. Broken Hill NSW was recently identified as having one of the highest rates of domestic violence in NSW. The local Aboriginal Family Violence Prevention Legal Service determined that the best way to tackle the issue was to create more dialogue and education. With the support of local elder Uncle Willy Riley, the group spent 5 days discussing where family violence comes from, and how they might deal with it as a community to create a safer, happier place. The ‘Speak 2 Heal’ project is a call to arms to speak up about family violence wherever you encounter it. To be proud of your community, speak up every time and look out for each other.